Long-ignored computer genius Kate Keenan has designed a computer program that will put Hollywood and Bollywood out of business overnight. Suddenly everyone wants her...and her program. To stay alive, Kate goes into hiding, barely keeping ahead of a lethal hoard of pursuers with only one thing in mind: FINDING KATE and possessing or destroying the program. 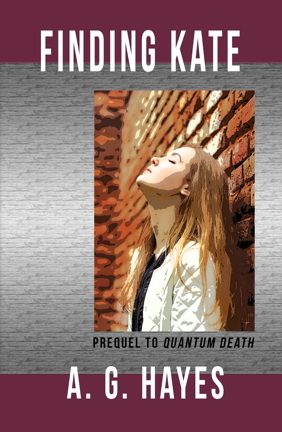 The widely anticipated prequel to the award-wining novel, QUANTUM DEATH by A. G. Hayes and Raymond Gaynor.